Apart from my new grá for Inglot shadows I've been bitten by their polish bug too. I'm a huge lover of metallics when it comes to my talons and have been for quite some time, they allow you to get the sparkle (when the formulation is right) but also assist in skipping with the removal of glitters, which let's face it, is a pain in the flesh. 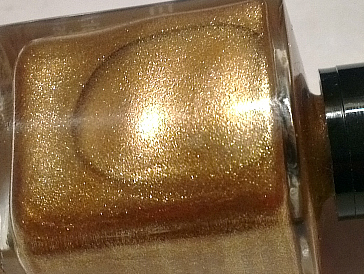 As you can see, 224 is packing some serious heat when it comes to metallic shine and bright foil effect. To be fair I had tried one or two Inglot polishes before and hadn't been bowled over by their formulation, so how did this one fare? 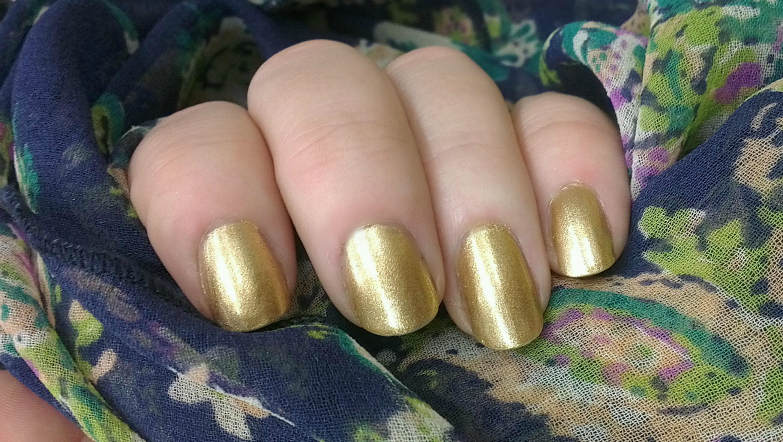 It applies like a dream, full foil opacity in two smooth coats with no dragging or graineyness that can be found in a lot of metallic nail polishes. 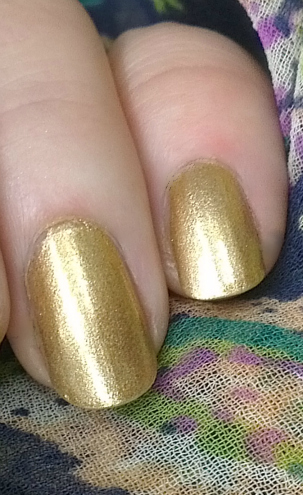 It's a much calmer and more yellow gold shade on the nail than in the bottle but even so, once the sunshine hits, it's sparkle city. 224 is subdued enough for day to day wear and subtle enough to go with just about every outfit (including festive party rig outs) so for that it's definitely worth a looksee, as are the other four shades in this seasonal range. One word of warning though, longevity isn't as good as it could be. I had tip wear on day two and chips on day three but despite that I'd happily purchase the other shades. 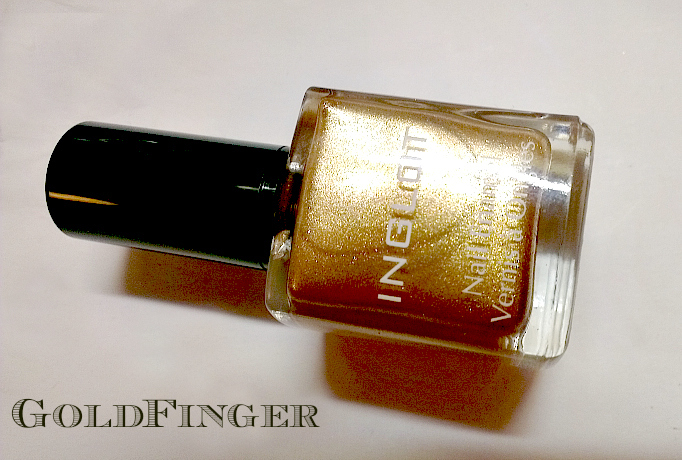 Be sure to use a base and top coat to try and elongate your metallic mani but other than that, just enjoy. Have you tried these new seasonal shades yet? A foil polish love in general? Oh yes!! Love the polish and Love your blog, following you guys with BlogLovin. Feel free to follow back. Have a great week. I really like Inglot in general, good value & lots of colour! 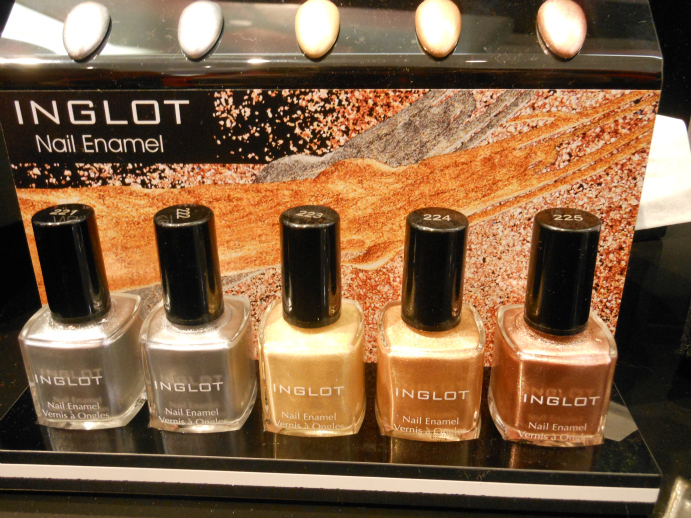 NYC have some similar metallics out this season too so we're a bit spoiled for choice!